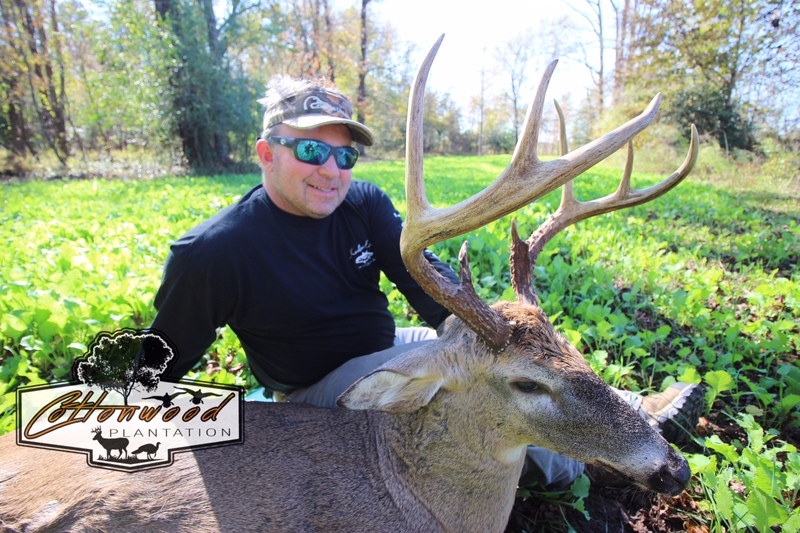 Cottonwood Plantation’s 2018 Deer Season was another successful year! With us wrapping up our 2018 deer season, we would like to thank everyone who came down and hunted with us this year! 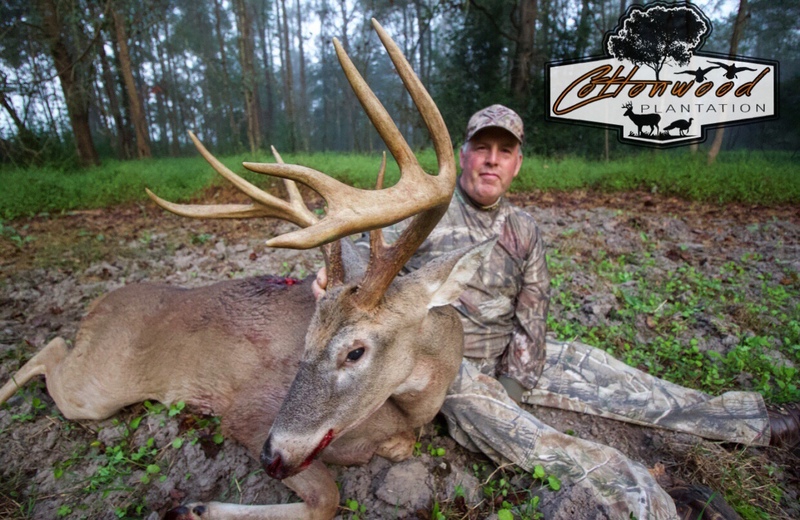 This was an amazing year and we could not have done it without the support of our participating hunters. As all of you are aware, to have an operation like this that keeps producing quality deer year after year…this is a 365 days a year job to make it all happen. It requires countless hours of hard work and financial resources. 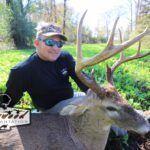 We have already started planning and working towards our 2019 deer season, and many hunters have already inquired about available hunting dates. 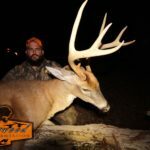 We kindly ask that anyone who is wanting to come hunt with us in 2019 to please go ahead and lock down those dates and submit your deposits for your hunt. 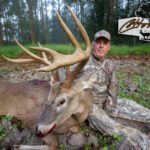 This is important for us because we need to be able to plan our calendar to accommodate everyone who wants to come hunting with us, and the dollars from your deposits help us manage and maintain the properties we have to ensure quality habitat for our deer…and a quality hunting experience when you are here in 2019. 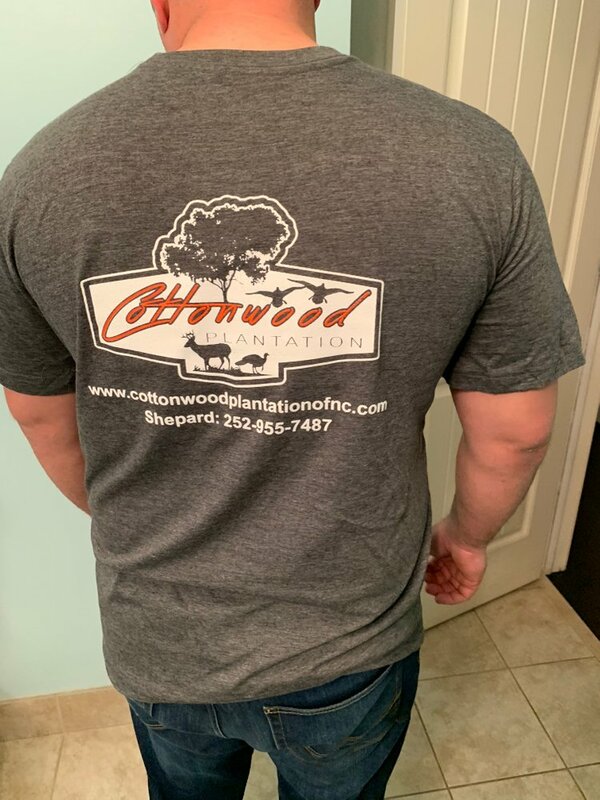 We are excited for the 2019 hunting season, and we thank each and everyone of you for your business & support!!! 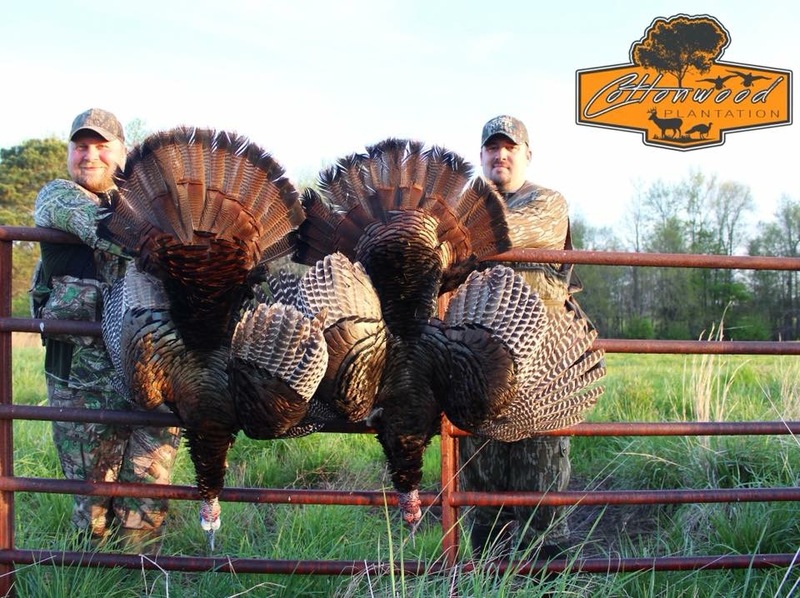 Also book your 2019 Spring Gobbler hunt, and Hog hunt while there are dates still available too!!! 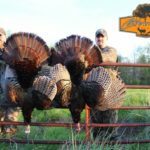 Come Join Us for the 2019 SPRING GOBBLER SEASON! April 13th - May 11th, 2019. 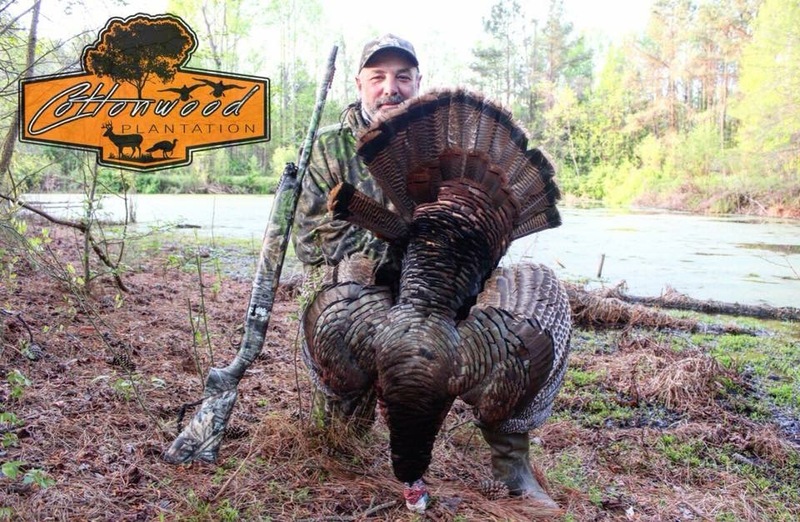 Join us for action packed turkey hunting in the swamps, timber, and crop fields of North Carolina! Available dates is very limited, so reserve your spot NOW! 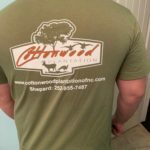 We now have our Cottonwood Plantation of NC T-Shirts AVAILABLE for purchase online! 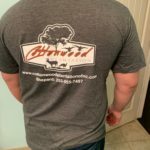 Please click the link below to go to our store page to purchase your T-Shirt today! We will be updating and adding new items every few weeks. 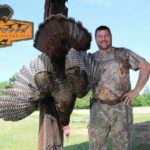 What a hunt! Not only did I harvest a mature buck, I gained a few friends along the way. 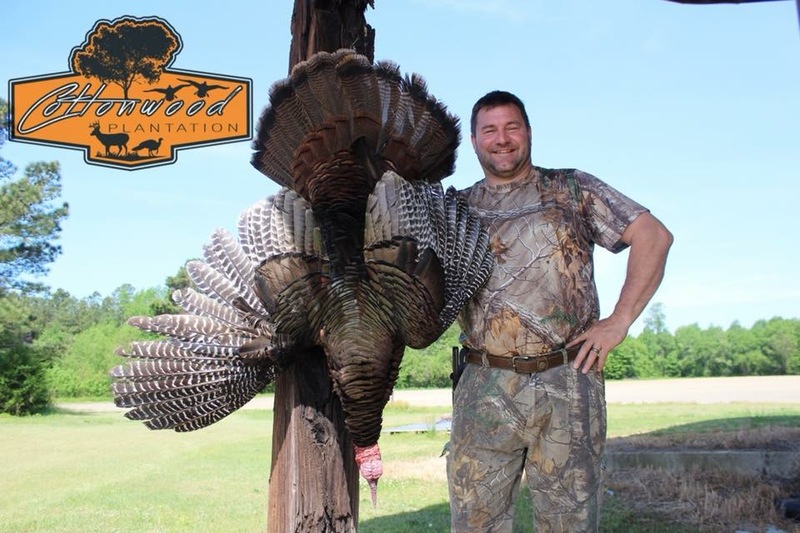 Shepard works year round to ensure an unmatched hunting experience. His knowledge goes beyond that of the most advanced hunters. 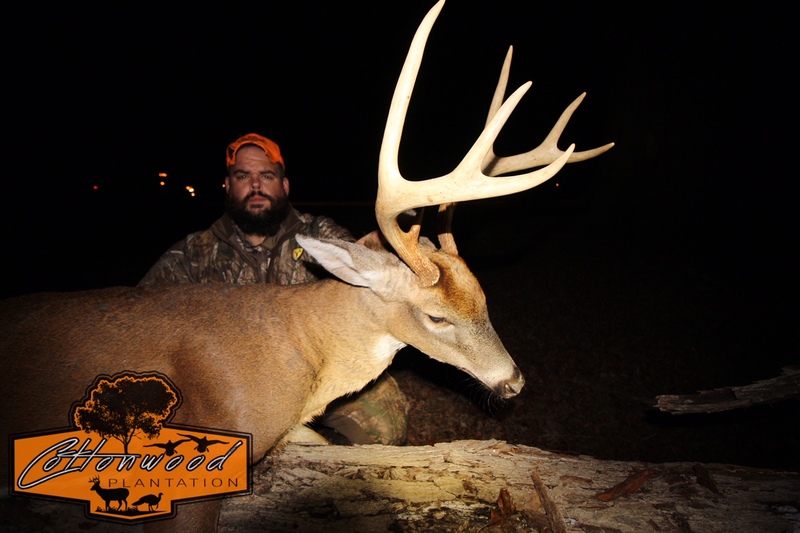 I was overly impressed with his knowledge of the area and his determination to seek out a mature buck even in the unseasonable high temperatures we had while on our trip. I can wait to go back and make more memories with Shepard and his crew! 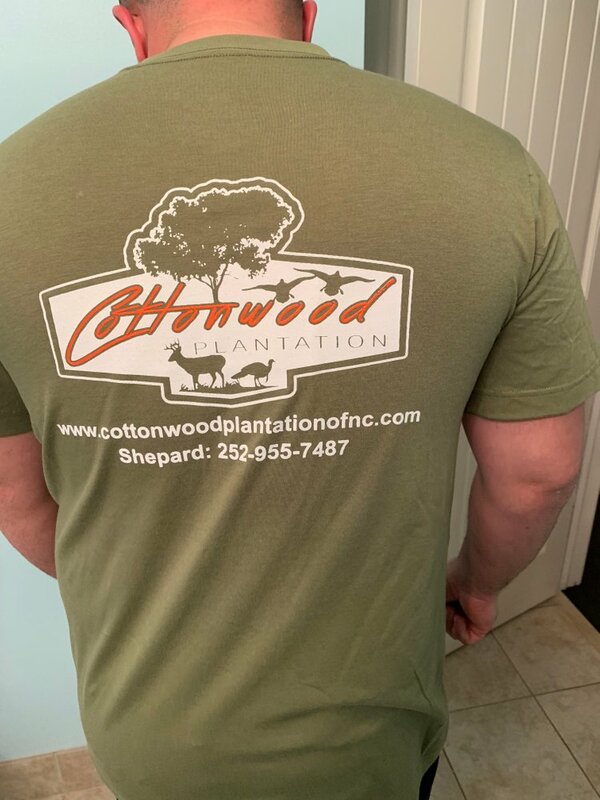 ©Cottonwood Plantation All Rights Reserved.